The guys get right to it and talk about a programming board game called Colt Express (01:20). The main discussion starts with how completely Star Wars has penetrated popular culture (06:12) and Stu explains how the RPG kept Star Wars alive. (07:40). The Ewok Movie comes up (08:20). Stu theorizes that the initial appeal of the Star Wars RPG laid in the fact that the books gave you access to more material from the movies (09:28). Stu explains the basics of the system (10:31) and how the game gave birth to the Expanded Universe (11:13). Timothy Zahn’s Thrawn Trilogy comes up (11:53) and Stu explains how those books paved the way to the larger Star Wars’ modern pop culture explosion. Hambone runs through some of the various editions of the rules (13:50). Conversation turns to the game’s approach to universe building (15:00). They discuss adventure modules, the Kathol Rift campaign (16:38) and the Galaxy Guides, which brings the guys to the topic of toys (17:27) and the joy of weird aliens. There is the inevitable comparison to Star Trek (19:57) and that segues to a quick chat about angry Star Wars fans (20:54) and inclusivity (23:43). Stu talks about his up and down relationship with Star Wars (25:00). Hambone shifts the gears out of the heavy stuff to talk about how the game handles Jedi (26:30) and a digression into miniature play wraps things up (28:00). Correction: Stu has a tick and keeps calling it the Star Wars Extended Universe. While that word usage isn’t wrong, the moniker is actually the Star Wars Expanded Universe. 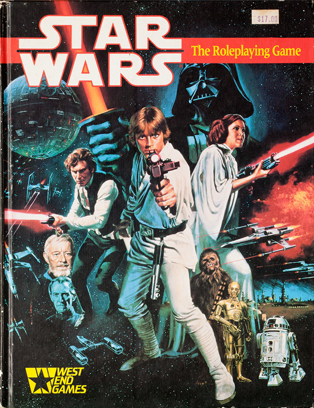 Clarification: When Stu says that the Star Wars RPG is cinematic, he means that in a literal, mechanical sense – there are a number of storytelling tools for game masters that mimic film making techniques. This will be explored more in a later episode. Clarification: In the first edition of the rules, the ability to use the force is bound to your starting template – there is no clear way described in the rule for a character who doesn’t start with some affinity to the force to gain it later. 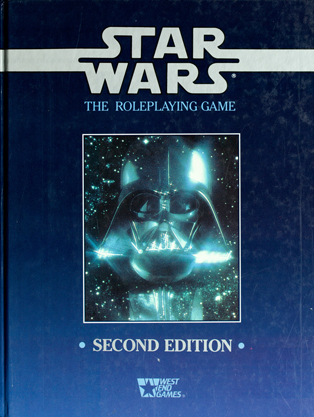 The second, revised edition introduces the concept of force sensitivity – characters can start as force sensitive, or buy it later with character points. Like, Rate, Subscribe and Review the Vintage RPG Podcast! Available on iTunes, Google Play, Stitcher, SoundCloud, Spotify, YouTube and your favorite podcast clients. 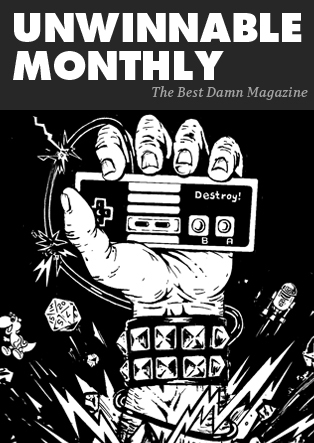 Send questions, comments or corrections to vintagerpg@unwinnable.com. Follow Vintage RPG on Instagram, Tumblr and Facebook. Learn more at the Vintage RPG FAQ. 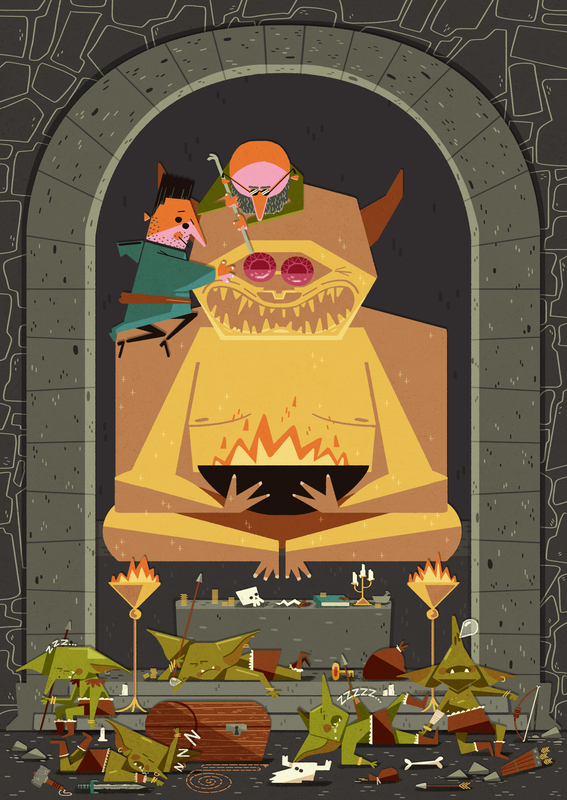 Follow Stu Horvath, John McGuire, VintageRPG and Unwinnable on Twitter. Intro music by George Collazo. The Vintage RPG illustration is by Shafer Brown. Follow him on Twitter. Tune in two weeks from now for the next episode. Until then, may the dice always roll in your favor!